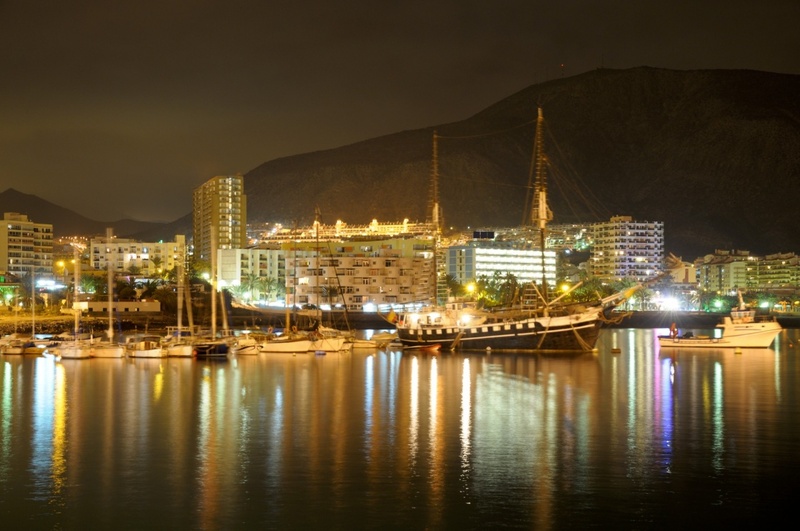 There’s a type of nightlife to suit every kind of traveller in Tenerife. Whether you prefer to sip a cool beer at a beach-side kiosk or indulge in a fancy cocktail at a top-end nightclub, there’s something for everyone to enjoy when the sun goes down in Tenerife. Playa de Las Americas is one of the most best-known locations for heady nightlife. Most young holidaymakers head to Las Veronicas which offers a throng of bars and clubs. Although most venues in this area don’t get going until around midnight or even later, they stay open until the last person leaves – normally around 6am. Some of the most popular clubs include Sound of Cream, Yordy’s and O’Neills – each of these boasts amazing DJs who play a mix of the latest and classic tunes to get you up and dancing. Opposite this line of bars you’ll find Starco – a commercial centre which offers an equally large number of bars and clubs, with a handful of late-night supermarkets and take-away restaurants thrown in, too. One of Tenerife’s most famous bars is found here – Linekers – which always has a buzzing atmosphere. If you’re in the mood to dance until the early hours, Tramps is a great place to go and features a huge dance floor which can cater for hundreds. Further down from Las Veronicas you’ll find Papagayo – one of the latest luxury clubs to make Tenerife its home. Located on the seafront, this sophisticated venue is spread over numerous floors and is the place to see and be seen. If you’re looking for something a bit more Canarian, Puerto de La Cruz and Santa Cruz might have just what you’re after. Here you’ll find a fantastic choice of salsa and Latino bars, many of which offer live bands and dancers. Like the nightclubs in the south of the island, these bars don’t liven up until around midnight, but they stay open well into the early hours. Santa Cruz is also home to Tenerife’s auditorium which regularly hosts spectacular shows including ballet, opera, ice skating and many other theatrical performances on an evening. For a fusion of British and Canarian culture, head to San Telmo in Los Cristianos. Overlooking the beautiful Playa Las Vistas, this strip features a great number of stylish bars which are popular with locals and visitors alike. In this area it’s less about drinking as much as you can and more about enjoying the atmosphere, with many venues featuring lavish décor, intriguing drinks lists and exotic food menus. When it comes to evening entertainment, you’ll be spoilt for choice in Tenerife. Many bars in the major tourist resorts – Los Gigantes, Fañabe, Torviscas, Playa de Las Americas and Los Cristianos, to name a few – offer nightly entertainment in the form of singers, dancers, musicians, magicians and comedians. These bars usually advertise their weekly entertainment schedule outside the bar and sometimes also offer bingo and family-friendly game show-type games for everyone to enjoy.